Your young child or baby's birthday is always a special time. 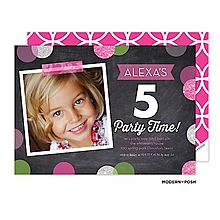 Delight family and friends with a birthday party invitation that will reflect the party theme. Let your favorite classic Disney characters, Precious moments gang and whimsical designs add fun to your youngsters birthday party. 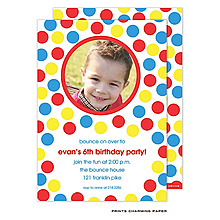 Celebrate your big bash with this circus-themed invitation. 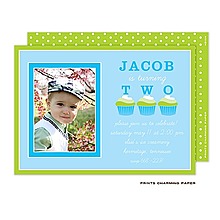 Bright, festive polka dots are shown all over this party invitation. The four classic princesses sit atop the front panel on this colorful, z-fold invitation. 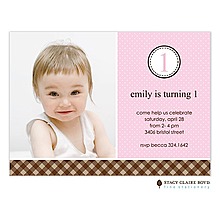 The attractive, full color, z-fold invitation gives plenty of room for the message of your choice. 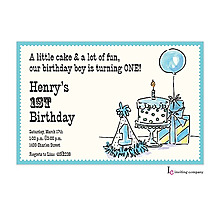 Whether 5, 10, 15 or older, this invitation is guaranteed to bring smiles. After all, who doesnÃƒÂ¢Ã¢â€šÂ¬Ã¢â€žÂ¢t love Ariel, everyone's favorite Little Mermaid? 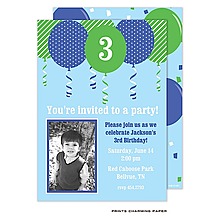 This tri-fold invitation featuring your photo is tucked away in a balloon-design pocket. 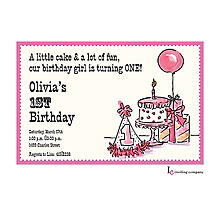 This two-sided invitation is as cute as a cupcake, and it provides all your party information.